But you also want to see something different on your holiday right? A great feature of Phuket is that you are in the middle of an experience hub, so no matter what you want to see and do, Phuket is a good starting point. Phuket Province consists of Thailand’s largest island, Phuket and 32 small islands along the island’s coastline. Phuket’s main attraction is undoubtedly the popular beaches. Especially the west coast beaches are adorned and daily trodden by thousands of happy beach goers. But Phuket Province has lots of other experiences to offer. Here are 5 experiences around Phuket beyond beaches. Takua Pa (ตะกั่วป่า) is a district in Phang Nga Province. It takes 2-3 hours by car to get there from Phuket, and on the way you will follow the beautiful coast as you go north. You will soon find yourself surrounded by lush green mangrove forests teeming with wildlife. The best way to experience the area is from a boat or a kayak. You quietly float along the mangrove rivers to the smells and the sounds of the jungle. It’s not always easy to spot, but there are exotic animals all around you. Luckily, the nature guides have a magical ability to point at certain spots in the trees, and PUFF! 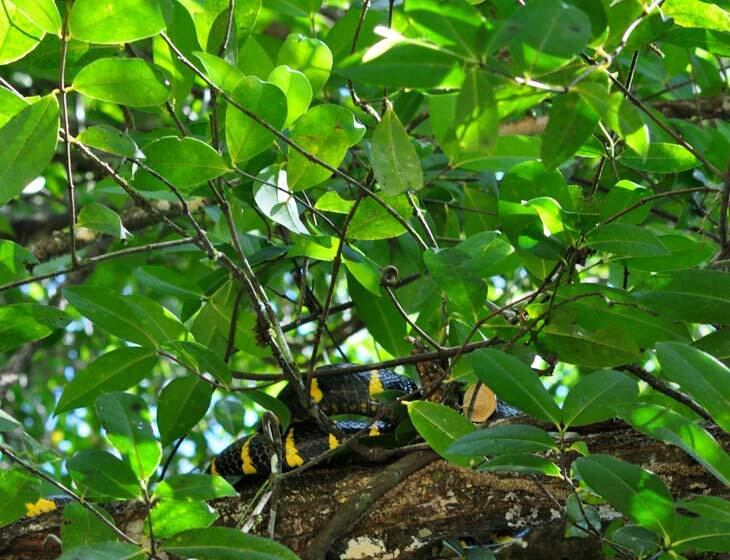 suddenly you can see a mangrove snake. You can find day tours that take you to the Mangroves of Takua Pa in many tour agencies and hotel tour desks around Phuket. 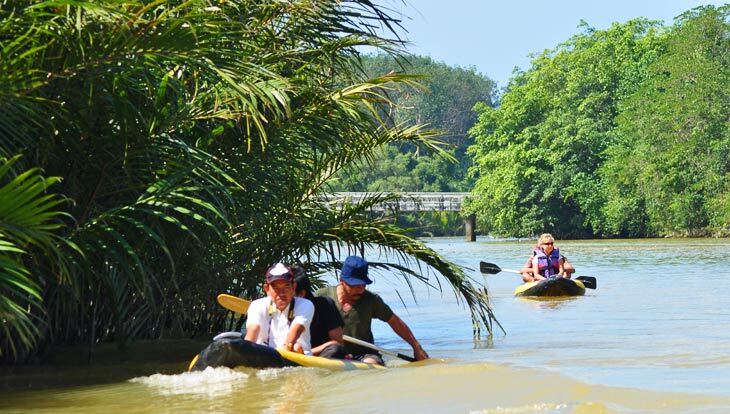 Paddling in the mangroves of Takua Pa.
Old Phuket Town, Phuket’s historic district has gone thorough a renovation of the old Sino-Portuguese buildings. The focal point of Old Phuket Town are Thalang Road and Soi Romanee. 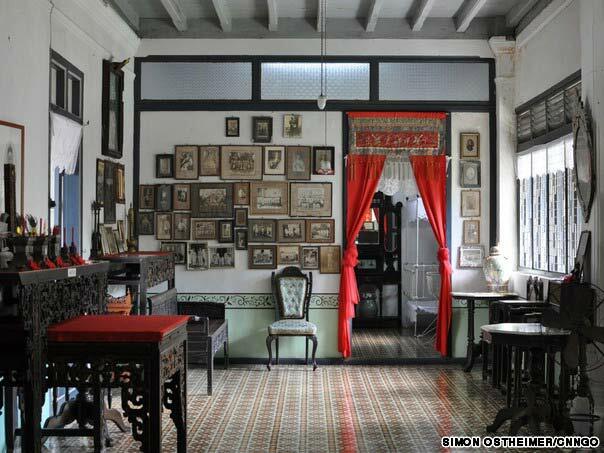 Here, they have retained most of the old Sino-Portuguese houses and mansions. It is a good idea to walk down along the small side streets, where you will find many small charming buildings. Old Phuket Town was built on the riches harvested from the area’s thriving tin trade that began in the 16th century. Since then, there was a significant trade with tin that attracted Chinese, Indians, Malaysians and Europeans to Phuket. 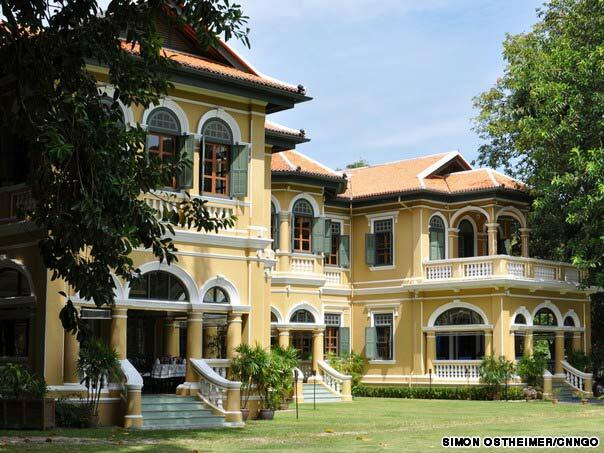 The big tin magnates built the beautiful mansions about 100 years ago. Today, many of the old houses are now converted into restaurants, cafes, hotels, and museums. If you like to know more about Old Phuket Town, see this interesting article and gallery by Simon Ostheimer: Old Town Phuket: Finally, a reason to leave the beach. Markets in Thailand mean much more than grocery shopping. It is a very important part of social life. This is also the case for Phuket, and the area has a handful of good markets where you can find unique food and exotic fruits, souvenirs, clothing, small restaurants, entertainment, and more. This market is Phuket’s largest. It takes place in the south of Phuket Town, and it is only open on Saturday and Sunday between 16-21. The range of products is vast and includes clothing, fashion products, make-up, glasses, shoes, crafts, fishing equipment, toys and pirate DVDs. You can also find a lot of delicious snacks and food made on the spot. The market has many names. It is also sometimes called Talad Tai Rot, Chaofa Market, Talad Jatujak Phuket, and Talad Naka. 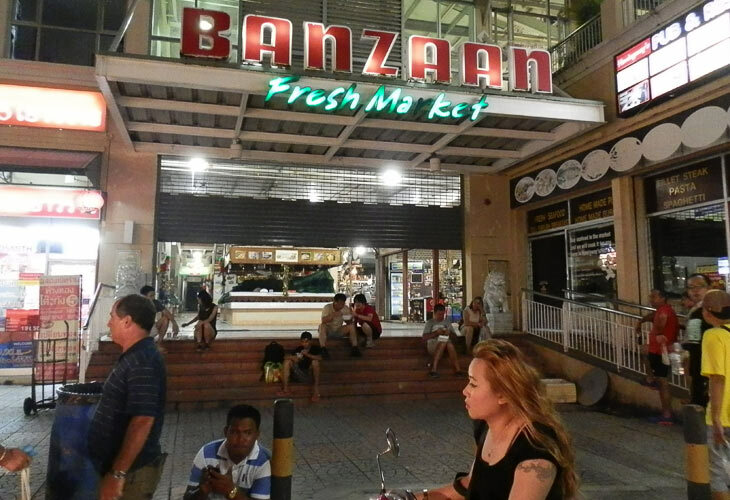 In Patong City, behind the large Jungceylon shopping mall, you will find Banzaan Market. This market is primarily selling fresh produce such as meat, fish, seafood and vegetables. If you want to cook yourself, this is the place to go hunt for ingredients. 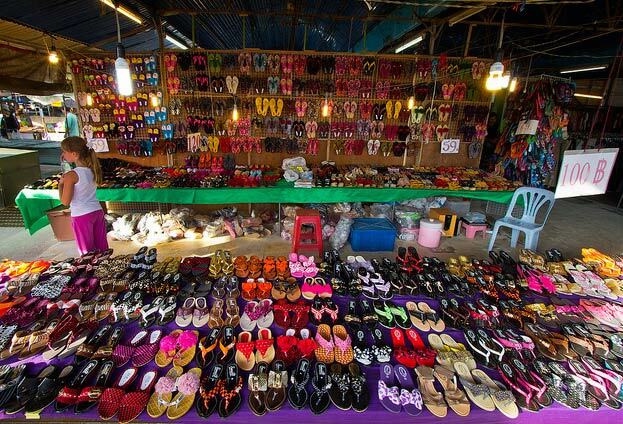 A small part of the market is dedicated to clothes, shoes, and toys. The market is clean and modern – and even escalators! 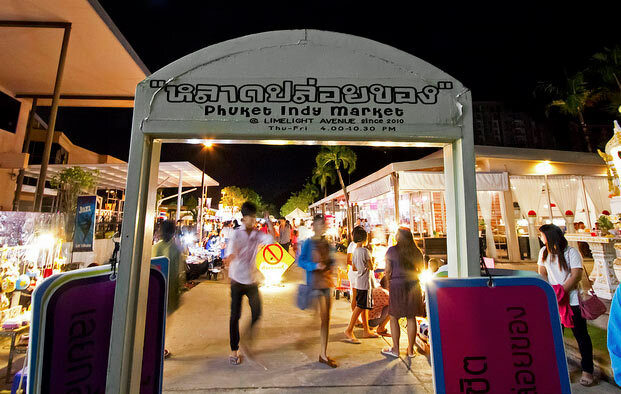 This market opened in 2010 and has quickly become a popular venue for Phuket’s youth. The market is located in Phuket Town in a side street (soi) of New Dibuk Road. Among the items sold at the market are snacks and dishes made on the spot, jeans, t-shirts, and sandals. Indy Market also features live music and street performances, so visiting here is a fun experience. If you like to do know more about the markets of Phuket, we suggest Jamie Monk’s Phuket Markets. It has good descriptions and great images. 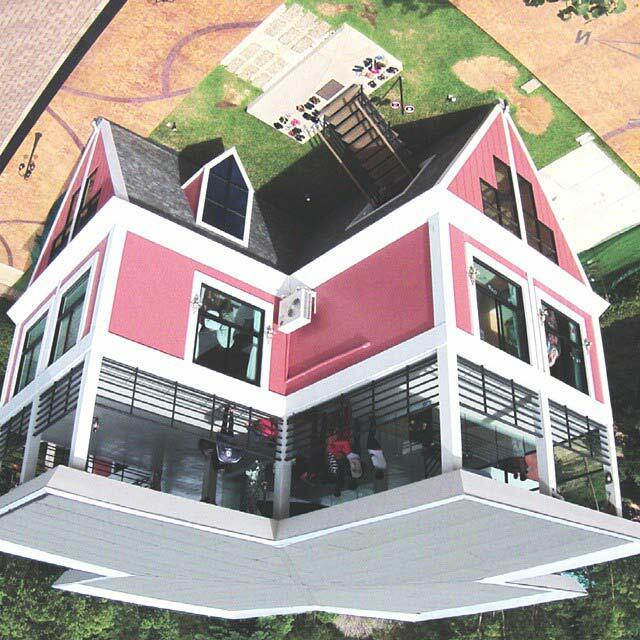 Upside Down House is Phuket’s most quirky attraction, and it plays tricks with your brain. As the name suggests, this is an ordinary town house that is flipped over, thus turning upside down. You enter the house through the roof and come directly into the attic. From the attic you go up (or down if you will) the stairs to the living room. Once you are here, you start to get dizzy. You feel like you should be falling, but gravity has you firmly planted on the living room ceiling. In the room, you are the only object in the “wrong” position in the house. Everything else is in a correct position according to the direction of the house. Even the live fish in the aquarium swim upside down. Hmmm… The experience is fun and challenging, and there is ample opportunity to take trippy photos. 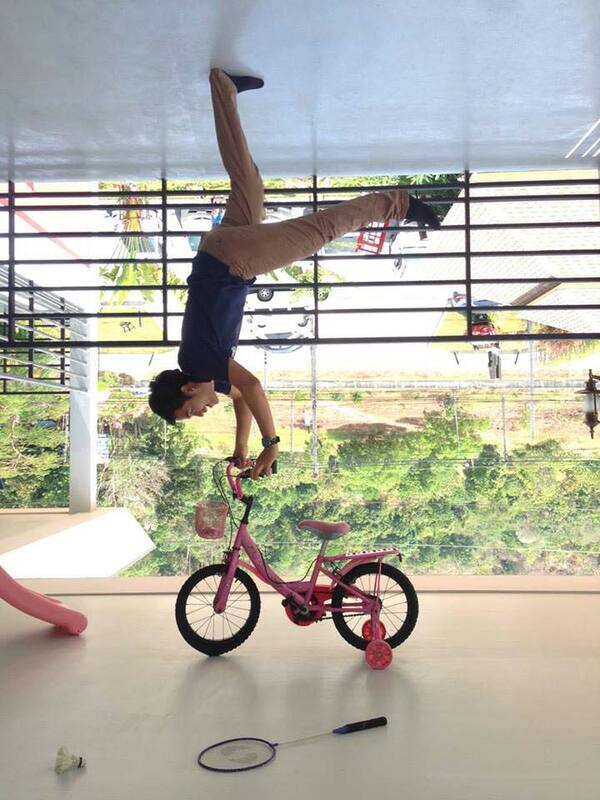 This handstand is easier than it looks! The creative photo opportunities are unlimited here. Here, you can check out more details and photos of the Upside Down House. Biking is a great way to explore an area. You hear the sounds, you smell the surroundings, and you go at a pace that allows you time to take in your experiences. 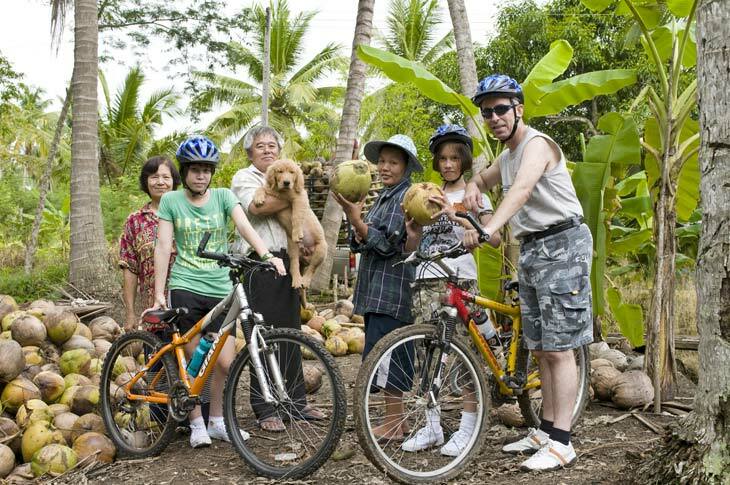 Most of the biking tours offered on Phuket take you through many of Phuket’s beautiful landscapes and natural attractions. 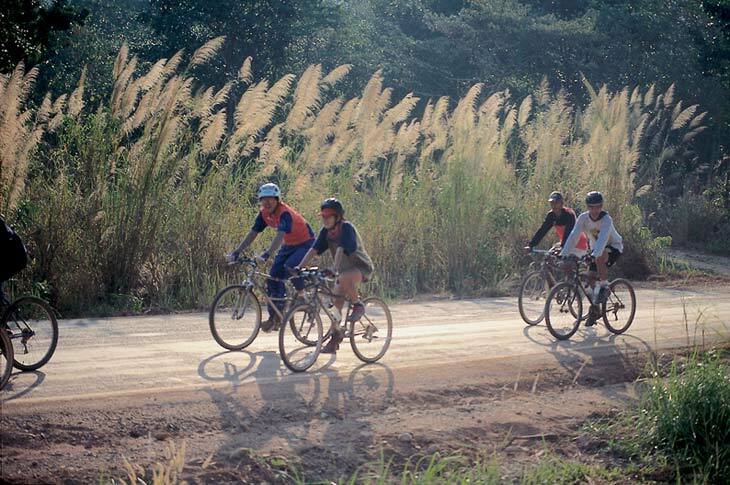 The route takes you through idyllic rubber plantations, beautiful valleys and coconut groves. This is a great opportunity to get close to village life in Phuket. It is a relatively easy bike ride for all ages, however, a little bit of experience will help, since you often follow toutes along village roads and local trails. There are hills on these tours, but they will likely include the option of taking stretches of the trip from the convenience a van. We hope you were inspired by these offbeat adventures in Phuket. There are many, many more than we have showed here. The small tour agencies and tour desks around Phuket Island have a good selection of tours for everyone, so if you have not booked in advance, it should not be a problem for you to find excursions that match your wishes.